Strong vibrant colours enhanced the boldness of the words. 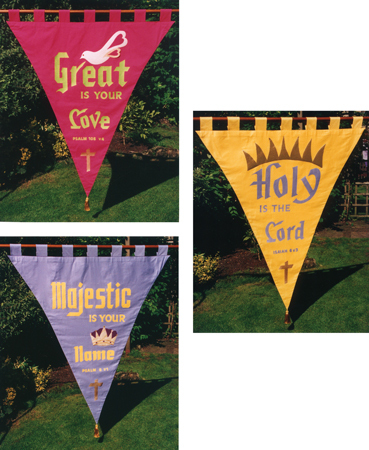 The green cotton material used for a background of one banner, forms the lettering of another and so with the pink, purple and yellow colours. The material was cotton stiffened with a lining of vilene.